Yesterday, Coulter called in for one of her regular slots with Boston radio host Howie Carr, whose show is syndicated by Newsmax TV. 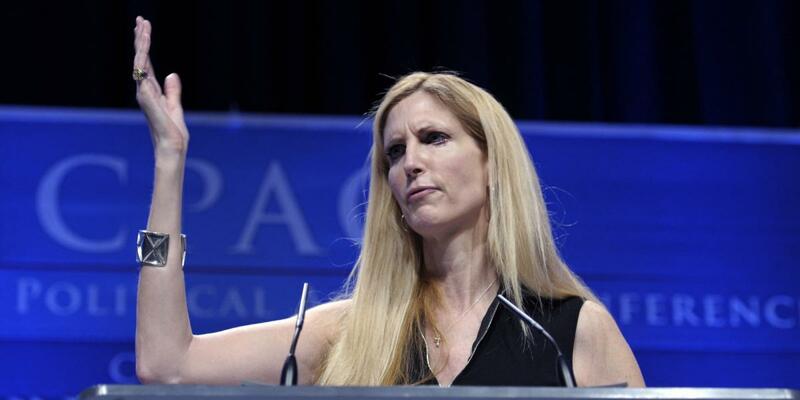 During Coulter’s guest slot, Carr brought up the fact that Coulter’s father was an FBI agent, and asked whether it was discouraged for FBI agents to “get themselves into potentially blackmailable situations.” Carr’s rhetorical question, of course, was a set-up for bringing up the fact that FBI agent Peter Strzok and former FBI lawyer Lisa Page—who worked on Special Counsel Robert Mueller’s investigation into Russian election meddling—had an extramarital affair. A hostile question to Strzok about the affair from Rep. Louie Gohmert during a recent hearing before the House Judiciary Committee lit up the internet last week. “Why was there no investigation of Strzok? Strzok just got promoted up through the ranks because he was such a rabid Democrat, even though he was violating every rule in the book,” Carr said. “I’m pretty sure Strzok is a Catholic, supposedly, but they’re not making Catholics like Pat O’Brien anymore,” Carr said.